The Invent Robotics Starter Kit includes everything you need to dive into the world of robots. It comes with enough components to allow you to complete most robotics involving microcontrollers without having to source individual parts. Our robot kit uses the Arduino Uno microcontroller as its main processor and 2 wheel drive robotics chassis as it’s the main body. If you’re looking for inspiration for what to create with this value pack of parts, watch out for our all complete list of wonderful projects and complete tutorial lessons which include videos. 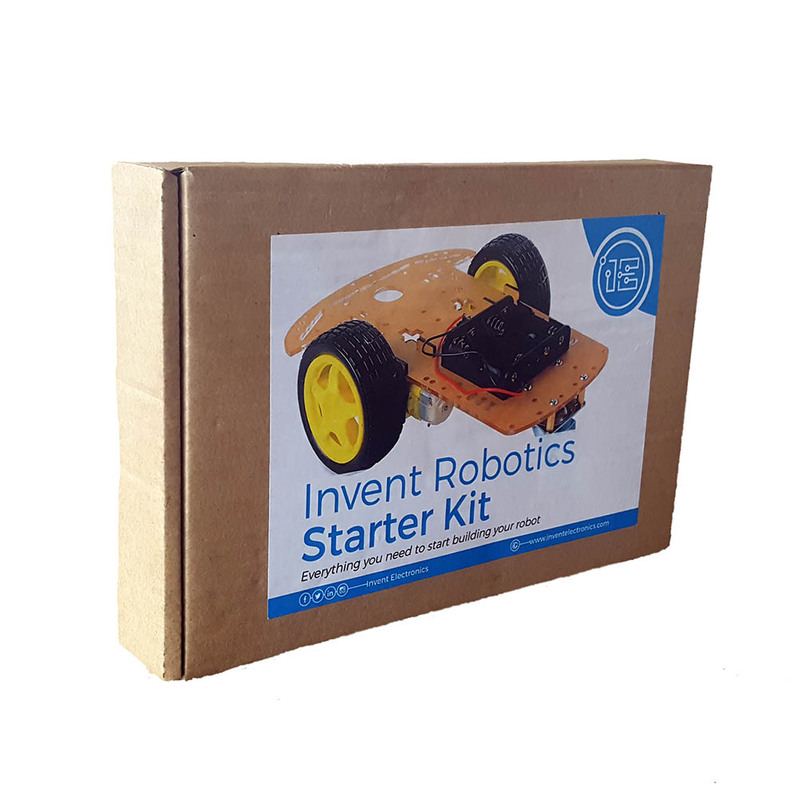 The Invent Robotics Starter Kit will surely give you more than you bargained for!